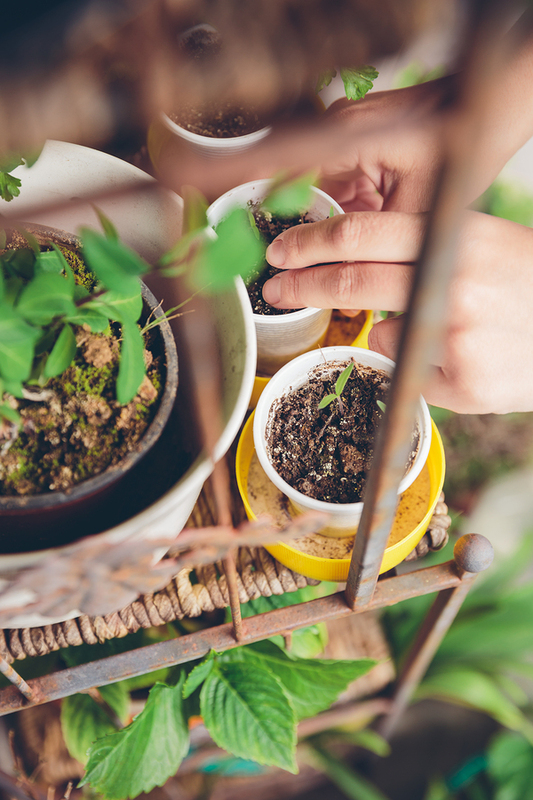 If your townhouse, or condo, or home leaves little room to enjoy nature, perhaps it’s time to consider installing a garden on your roof deck or patio? For very little investment you can enjoy all the splendors of your own little forest or garden oasis, with a few tips from Tufdek, of course. How much weight your rooftop deck can hold is a major consideration when planning a rooftop deck garden. You will likely need to have a contractor assess your roof deck structure to ensure it can handle the additional weight of soil, plants, and water before you make any additional plans. Of course, if you’re sticking to a few small pots you should be fine. 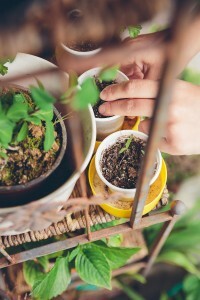 Keeping your plants happy is a key concern for rooftop deck gardens, so consider how you’re going to get water to them – such as installing a water line up to the garden. You may be able to include water barrels if your roof deck garden is below another roof line to enhance the environmental benefit and reduce the cost of water. Also consider where water will go if you over water – you don’t want excess water to sit on the deck or roll towards your home. Placing pots closer to the edge of the roof deck is a safer bet. Before you pick up your favorite plants at the local nursery, consider the view from your rooftop deck – will the plants, when matured, block your view? Stagger plants to leave gaps where you can still enjoy the view, or place taller plants towards the edge of your home so they won’t impact your enjoyment and can increase privacy (see below). Although you certainly want to preserve the view from your rooftop deck, when installing a roof deck garden you can also take steps to enhance privacy. For example, planting fast-growing bamboo along the edges of your vinyl roof deck can quickly provide privacy, while making your deck feel like a natural outdoor oasis. While you can certainly focus on fruit, flowers, and vegetables on your rooftop deck during the warmer months, you might also want to add some year-round foliage to your deck. Evergreen plants combined with colorful pots can help to keep your deck looking great through the colder months, making for more overall enjoyment when you look out the window. Should you also have a hot tub on your rooftop deck, evergreen plants will increase your off-growing-season enjoyment. Before making any major changes to your rooftop deck, including adding a garden, you might want to have a professional evaluate your deck to ensure that it is holding up. Consider installing Tufdek Waterproof Vinyl Decking before installing a rooftop garden. Tufdek is a complete waterproof deck solution that can save you time and money over the lifetime of your deck. Tufdek has some great vinyl decking products that would perfectly complement your new outdoor rooftop garden!